The stock hit a 52-week high of Rs 178, up 4%, surpassed its previous high of Rs 175 recorded on September 11, 2018 on the BSE in intra-day trade. Shares of HeidelbergCement India hit a 52-week high of Rs 178 apiece, up 4 per cent on the BSE, on back of heavy volumes. The stock surpassed its previous high of Rs 175 recorded on September 11, 2018, on the BSE in the intra-day trade. 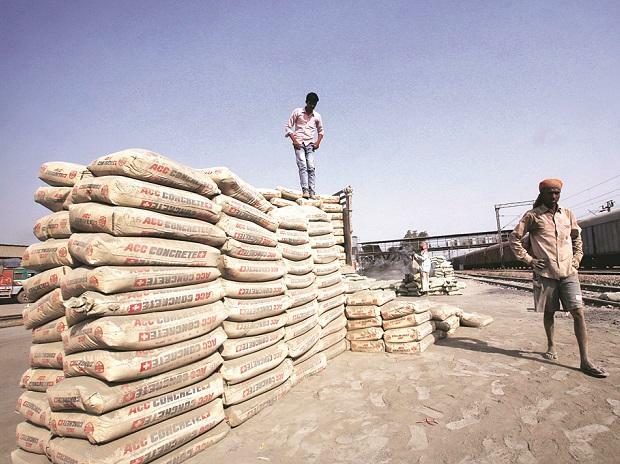 Since February 11, 2019, HeidelbergCement India has outperformed the market by surging 25 per cent after it reported strong earnings for the quarter ended December 2018 (Q3FY19). In comparison, the S&P BSE Sensex was up 1.1 per cent during the same period. The company reported 84 per cent year-on-year (YoY) growth in net profit at Rs 58.6 crore, on back of strong operational performance. Revenues grew 15.4 per cent at Rs 558 crore on YoY basis. Ebitda (earnings before interest, taxation, depreciation and ammortisation) margin 483bps to 21.94 per cent in Q3FY19 from 17.11 per cent in Q3FY18. The healthy performance during the quarter attributed to healthy sales volume, superior realisation and cost saving measures. The hardening of fuel price was partially offset by power generation from Waste Heat Recovery System (WHRS) and economic power sourcing during the quarter. The company said construction activities during the quarter picked up across all demand segments in most parts of Central India. The gross realisation increased by 8.6 per cent as against total operating cost (incl. freight) increase of 1.7 per cent resulted in Ebitda per tonne of Rs 947 per tonne vs. Rs 680 in Q3FY17-18, an increase of 39 per cent, it added. Looking ahead, analysts at Reliance Securities expect visible de-leveraging of balance sheet (net debt at mere Rs 240 crore currently) and healthy operating efficiencies to result in the best return ratios vis-à-vis its comparable peers. The brokerage firm expects HeidelbergCement India to sort out the capacity constraint issues in due course. “The strong demand trends in the central region and better operational efficiencies have aided Heidelberg’s performance during Q3. We believe its concentrated efforts on consumption parameters, more power from the stabilised WHR plant and greater utilisation would add to the good performance,” analysts at Anand Rathi Share and Stock Brokers said in result update. At 02:55 PM, HeidelbergCement India was trading 3 per cent higher at Rs 175 on the BSE, against 0.36 per cent gain in the S&P BSE Sensex. The trading volumes on the counter more than doubled with a combined 366,395 equity shares changed hands on the BSE and NSE so far.